V.M.I.’s spiral mixers are built around a central concept – “too much power does no harm.” These spiral dough mixers are provided with a power ratio which is 15-20% higher than what is usually supplied. 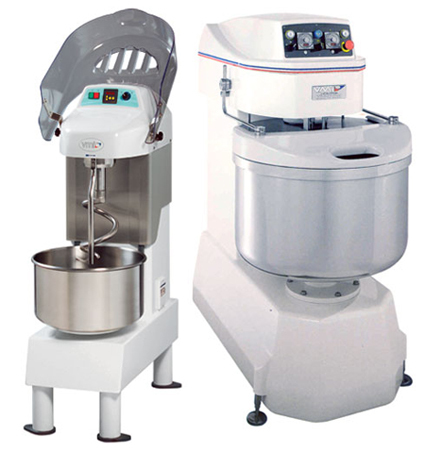 Adapted to industrial bakeries, the main assets of these spiral mixers are sturdiness and productivity. The choice of a belt drive for the mixing tool instead of a gear box means less maintenance and stronger operation. Mixing bowls rotate in both directions providing a more consistent mix. This mix of low maintenance and power makes this one of the most efficient and best stand mixer for bread dough available on the market today. The fixed bowl mixer has a range of 3 lbs.to 440 lbs. of dough. 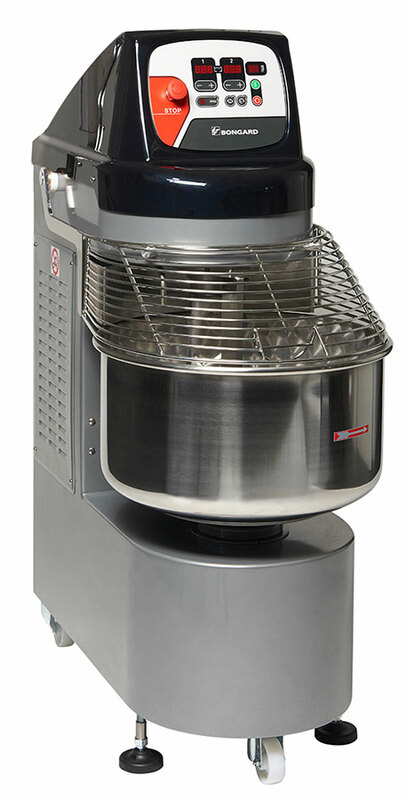 The removable bowl commercial mixers include 6 available tools and has a range of 16 lbs. to 550 lbs.of dough (extra bowl on dolly also available).